Use of the word "lifetime" in sales copy can be a source of confusion for consumers. The lack of clarity surrounding the definition or application of whose "life" measures the coverage of warranty/guarantee can make it difficult to determine the intentions of the seller, frequently resulting in customers who are confused, frustrated, and unsatisfied. 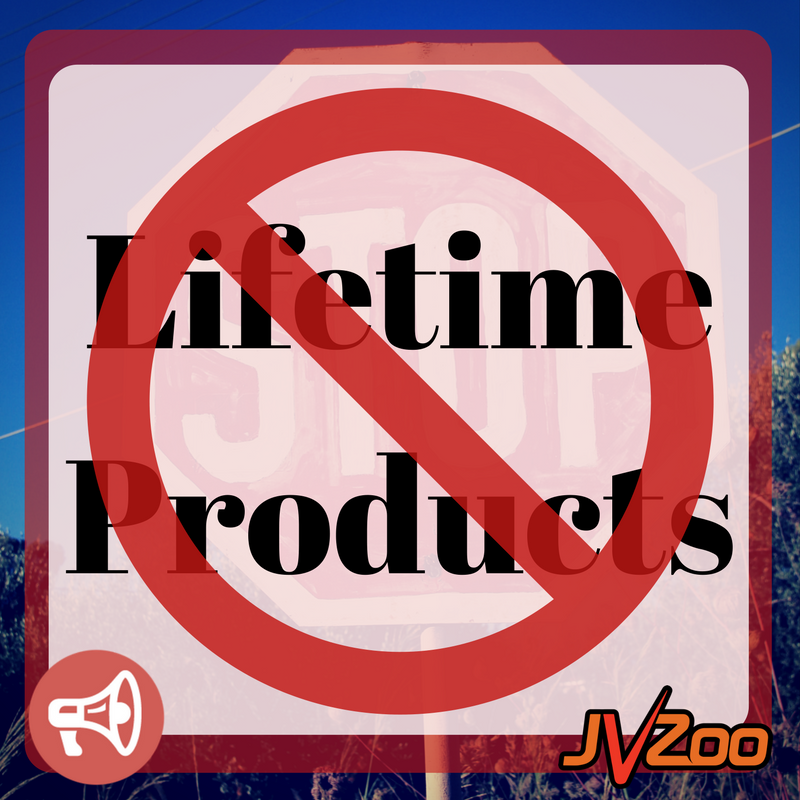 In an effort to resolve this issue for consumers of the JVZoo marketplace, we will no longer allow products to use "lifetime" on sales pages. We strongly recommend that sellers choosing to include "lifetime" promises in their swipes or promotional emails clarify this term to the consumer in accordance with guidelines provided by the FTC (https://www.ftc.gov/). To reiterate what we have just stated, please note: Our compliance team, in an effort to improve customer communication and satisfaction, will no longer approve sales pages including "lifetime" warranties, guarantees, or promises. We feel confident this adjustment will have no negative impact on any users who practice truth-in-selling and have strong marketing ability. As always, JVZoo implements this decision with the best interests of our consumers, users, and industry in mind.